Celebrate the holidays with Llama Llama and his Mama Llama! Join Llama Llama while he trick or treats, gives thanks, decorates cookies, and writes valentines through each holiday season! For the first time ever, Anna Dewdney's bestselling holiday board books are available in one adorable boxed set. 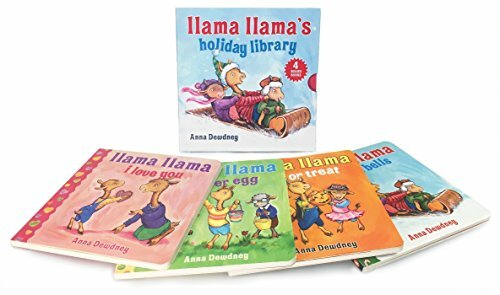 Simple rhyming text and durable pages will have Llama's littlest fans asking for these holiday classics to be read aloud again and again!